If there’s one thing on the mind of analysts and investors in Europe right now, it’s credit risk. The recent selloff in equities has sparked questions over whether a similar bearishness on credit is justified, particularly among European banks that have been slammed in stock markets over the last month. 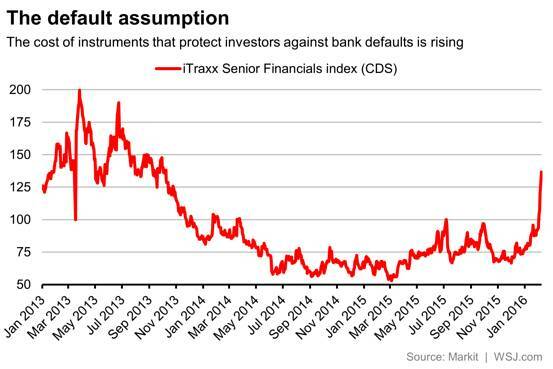 The iTraxx Senior Financials index tracks the cost of credit default swaps, which protect the investors buying them against a company’s default, for major financial institutions in Europe. More credit risk means pricier CDS, and the cost of European bank CDS has taken off. The index is still far from the extremely elevated levels reached in 2012, during the dismal days of the euro crisis. Some of the latest analysts to weigh in on the subject come from Bank of America Merrill Lynch. In a research note out on Monday titled “the tide has turned,” analysts Ioannis Angelakis, Barnaby Martin and Souheir Asba argue that risk is becoming more systematic. 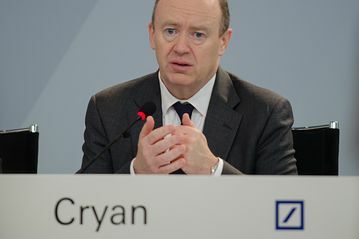 Within the last week we’ve spoken to analysts and investors that disagreed, suggesting that European bank credit was quite secure. Either way, it’s clear that the worries about credit risks have become heightened. How far the threat to balance sheets now goes is one of the biggest questions in European markets right now.